Randall (Randy) has over 30 years insurance and financial services operations and technology experience. Prior to joining Athene, Randy was the Global Business Information Officer of Consumer Businesses at American International Group, Inc. (AIG). 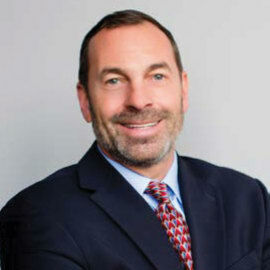 After 8 years of delivering innovative technology solutions for Travelers Insurance, Randy joined AIG in 1995 where he held numerous operations and technology leadership positions, including Divisional Vice President of Foreign General Insurance, where he led global strategic development for Personal Lines, Commercial Lines, Accident and Health, and Claims. As Vice President, AIG Data Center, Randy led the global architecture and deployment strategy for AIG’s strategic contact centers. In roles spanning Executive Vice President and Chief Operating Officer of AIG Retirement Services, Chief Operating Officer AIG Advisor Group, and Chief Information Officer of AIG Life and Retirement, Randy drove operations and technology modernization, innovative product delivery, and digitalization of distribution for Life, Individual Annuities, Group Retirement, Mutual Funds, and Brokerage/Investment Advisory businesses. Randy has a bachelor’s degree in business management from Providence College in Rhode Island and an MBA in Information Systems from Denver University in Colorado. He holds a FINRA Series 7 designation and previously served as a board member and audit committee Chairman of AIG Global Services enterprise group.